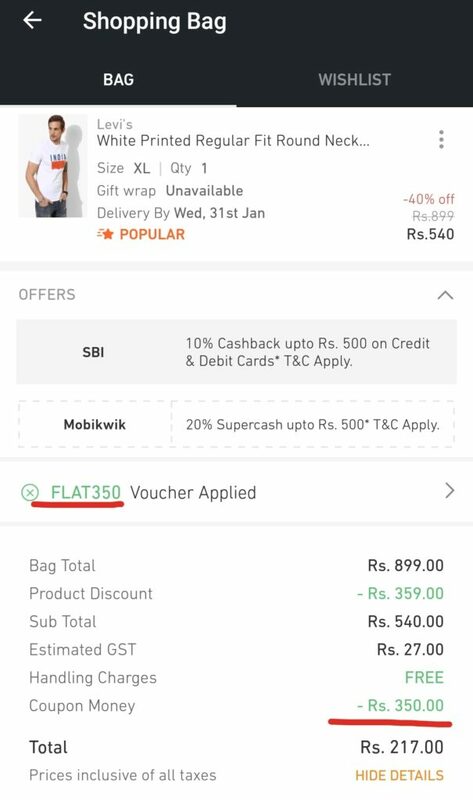 Jabong Flash On Sale – Jabong is giving Flat Rs 350 on above Rs.700 for New Users Of Jabong App On Their First Purchase. So hurry up and loot fast. This works for anyone who created an account and never ordered anything before . Remember that this offer is valid only on Mobile app. 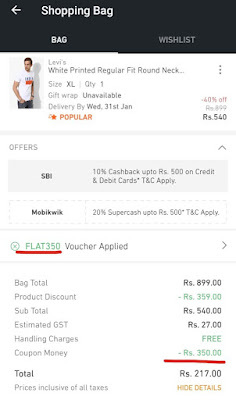 How to get Flat Rs 350 off on Rs.750? 7. Pay using SBI Credit & Debit cards to get additional 10% cashback upto Rs.500 or 20% Supercash upto Rs.500 using Mobikwik wallet. 8. Enjoy this great loot. Offer validity not mentioned so loot fast.